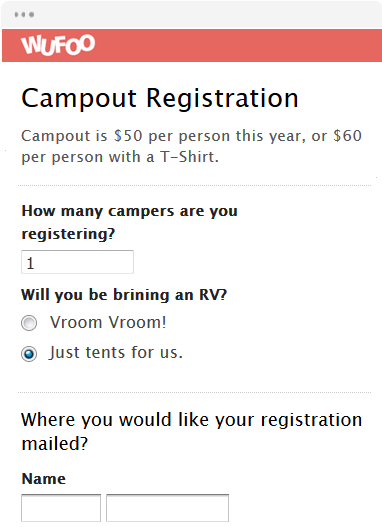 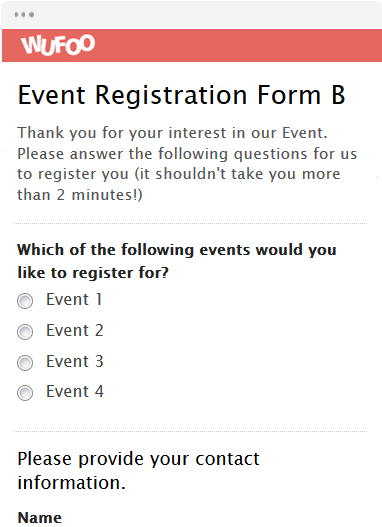 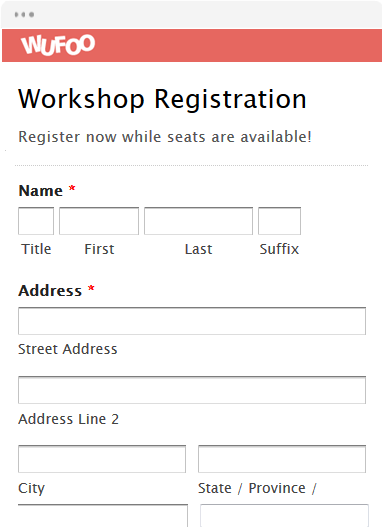 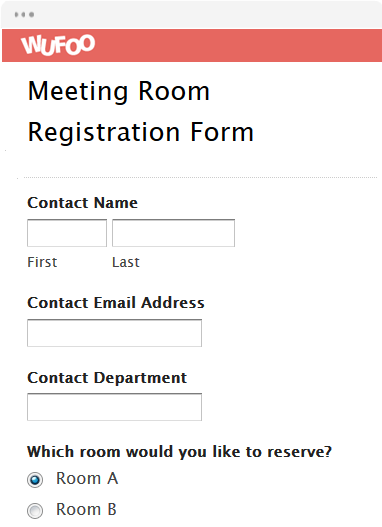 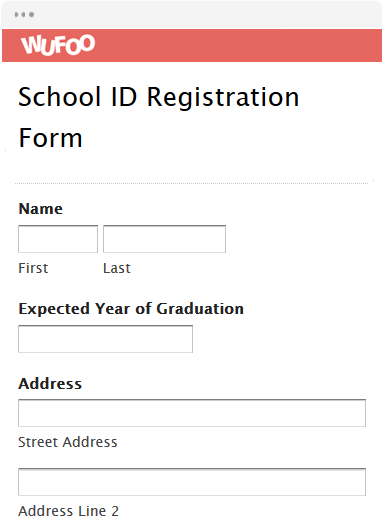 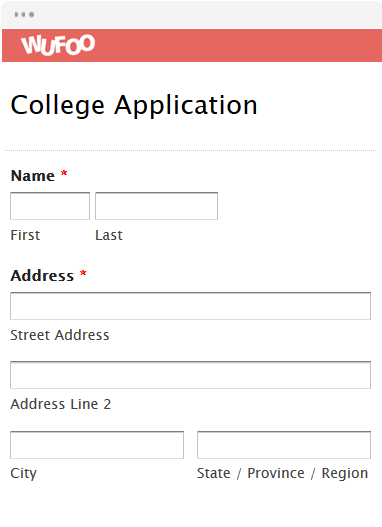 Wufoo’s registration forms are easy to embed into your website, or you can email them out to attendees. 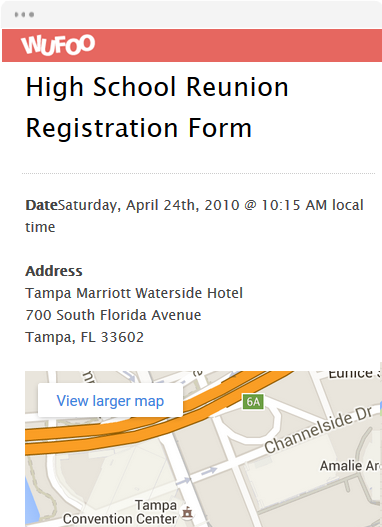 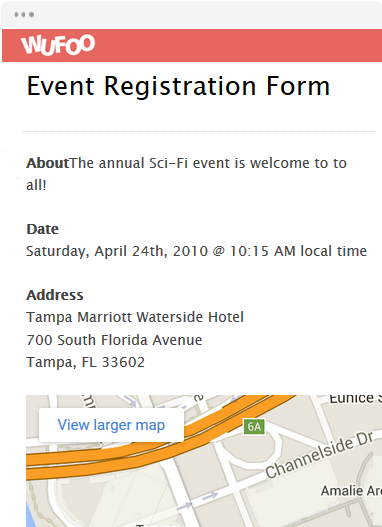 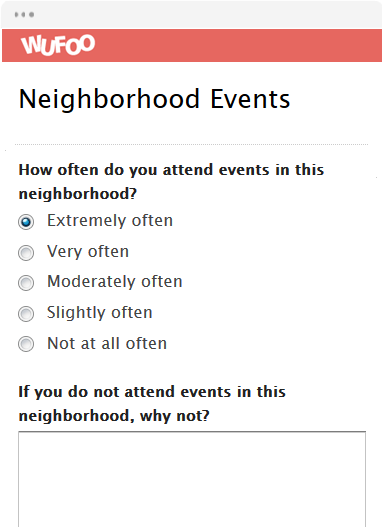 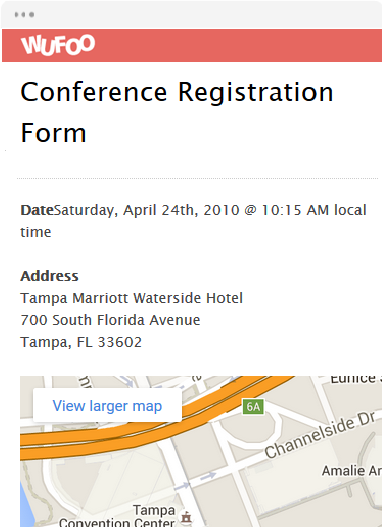 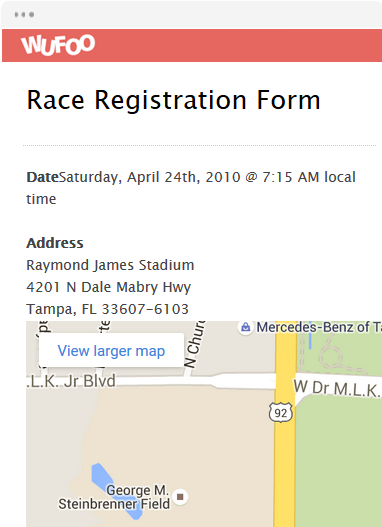 Collect contact information, embed a map to your event, and provide details about the event. 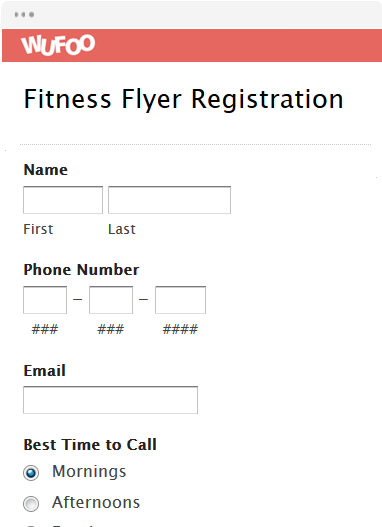 Once people fill out the form, you’ll have all of the registration info safely housed in the cloud (your Wufoo account), so you won’t have to work up a sweat worrying about lost registration forms. 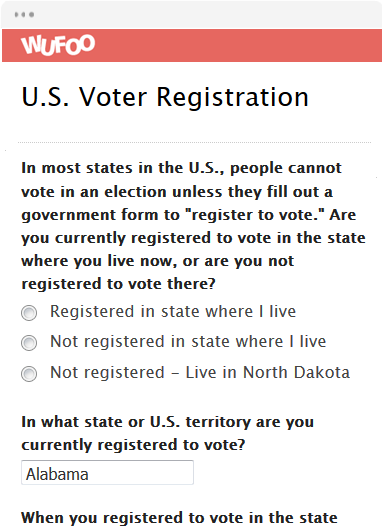 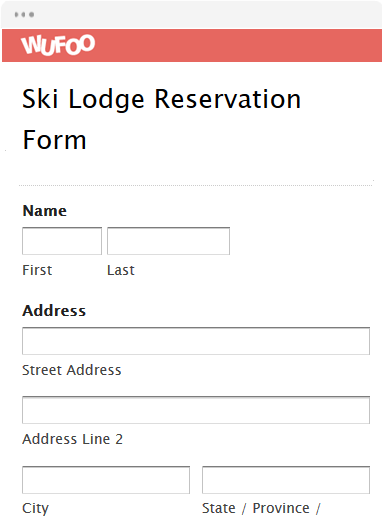 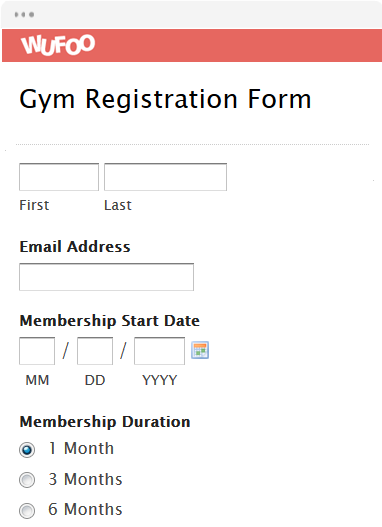 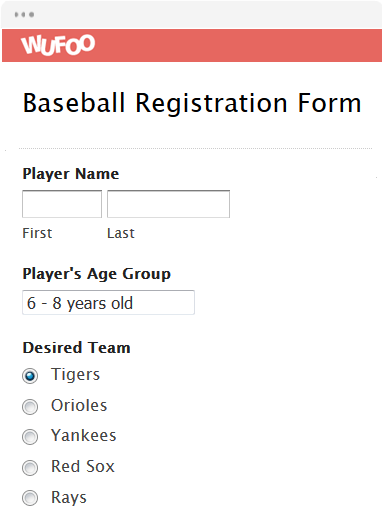 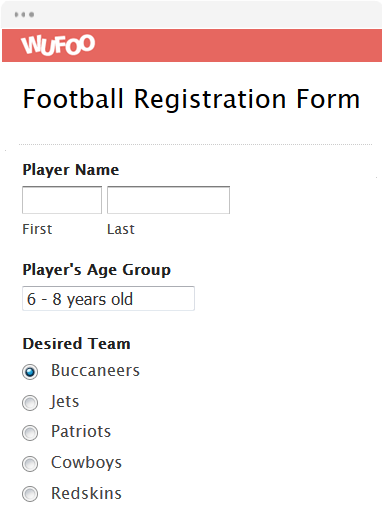 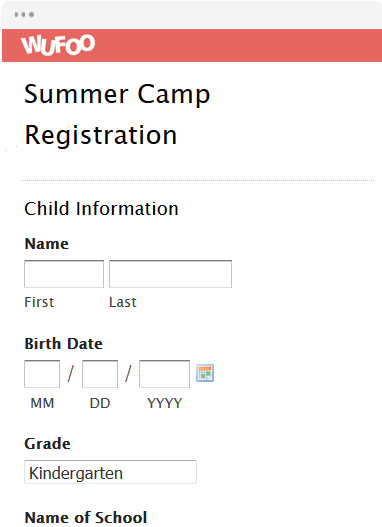 Our pre-designed registration forms are ready to go for events such as races, summer camps, or even voter registration. 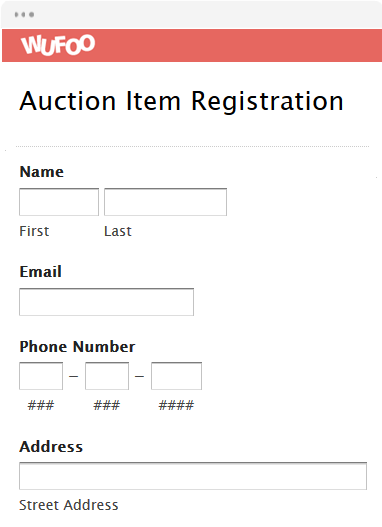 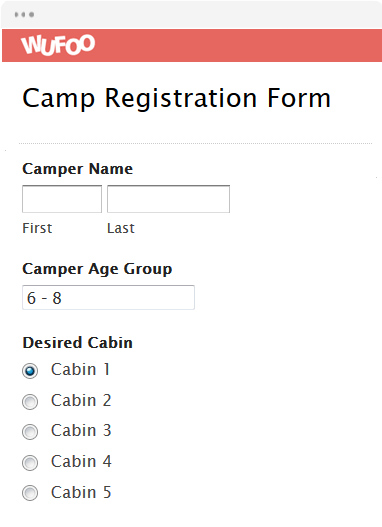 As with all of our Wufoo forms, customizing your online registration form is amazingly simple, so you can include all of the details that event attendees will need to know.